Knightcott Self Storage is a new family business, trading from Knightcott Industrial Estate, Banwell. The family has been involved in letting industrial units for over 40 years. 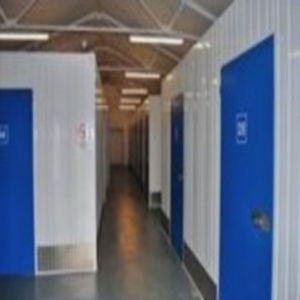 Knightcott Self Storage developed from enquiries for small spaces to let and the demand for self storage. People wanting to de-clutter before putting their house on the market, or wanting storage after their house has been sold and moving into a new one. Knightcott Self Storage has a demand from local business requiring archiving of documents or document shredding for time lapsed documents. Units are available from 20sq ft to 110 sq ft with easy access to all the spaces on one level. Each unit has its own door which is lockable with a padlock, you keep all the keys. When you rent a space you will find a wide range of moving consumables Boxes, Tape, Paper, Dust sheets, Bubble Wrap, Gloves and Padlocks which can be delivered to your home. A growing side of the business is e-bayers and car booters needing to free up valuable garage and shed space. Knightcott Self Storage is able to offer a comprehensive insurance policy administered by Royal and Sun Alliance in accordance with FSA guidelines. The exterior and interior of the building are monitored by an alarm and CCTV which is monitored 24hrs, on a gated industrial estate, for your peace of mind. Terms are flexible from just 1 week, long term rental can be discounted. Knightcott Self Storage is a modern, honest no frills, low cost storage facility. CALL IN AND SEE FOR YOURSELF.. I needed storage at very short notice during a move, Knightcott were immensely helpful. Really good units, secure and professional yet a very approachable and friendly service. Very good pricing and flexible. Don't be turned by promotions and deals by the bigger companies - this is transparent competitive pricing. Complete recommendation. With a pending house move we needed to store a load of non-essentials. Having phoned round and done some research Knightcott seemed the most reasonable and flexible, and I can now confirm THEY ARE! The price was extremely competitive and the attention and service from both Ian and Kathy was brilliant. Okay it's a little way out of Weston but that is countered by the fact that access was available when I needed it and the security of the unit, cameras, alarms and and surrounding compound was quite apparant. The ability to receive invoices by email and make payment on-line was a convenient bonus and saved loads of hassle. 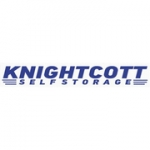 Without hesitation I would recommend Knightcott to anyone in the Weston area looking for decent cost-effective storage. Just Perfect - solved a major problem!